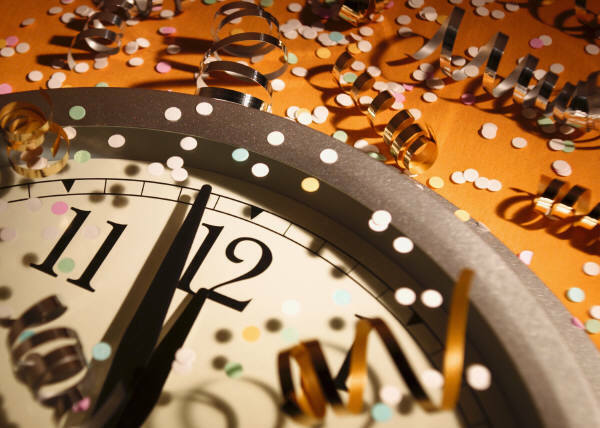 Its the cheer time of the New year and here there the Best superb inspirational Happy New year messages quotes, sms which you can send as sms or post on facebook. Like birds, let us, leave behind what we do not need to carry from sadness, regrets and painful moments. Have a happy new year and new start full of joy. Have a happy new year full of smile. touching is the peal which rings out the Old Year. The best quotes of Mr.Ratan Tata, The Man who shined the Indian name into the globe and one of the persons, for whom you are always short of your words to describe him. 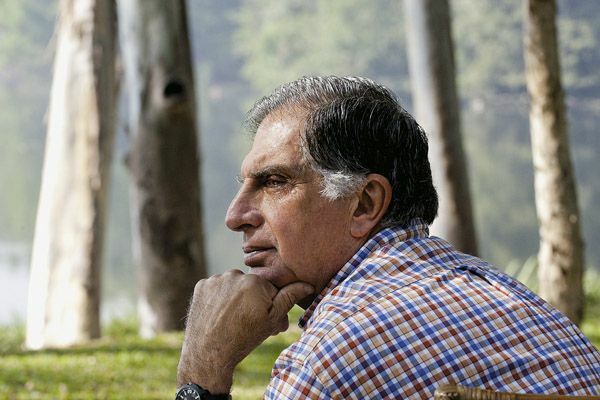 Mr. Ratan Tata retired on 28th December,2012 on his 74th Birthday. We wish him a very happy life ahead. These are few quotes which are related to Ratan Tata. “I don’t believe in taking right decisions. "Be your own man, you should take your own call and you should decide what you want to"
"The strong live and the weak die. There is some bloodshed, and out of it emerges a much learner industry, which tends to survive"
"All of us do not have equal talent. Yet all of us have an equal opportunity to develop our talents"
"Take the stones people throw at you, and use them to build a monument"
"We never compromised on ethics"
If you really liked the quotes, do share this with others. Its very common today that booking an confirmed Tatkal ticket from IRCTC is not less than fighting a war. According to the new rules, the tatkal booking starts at 9AM on the internet and the servers are already hanged up from 8:30 AM. Here are few short tips which would definitely help you to get the confirmed tickets during tatkal booking. Its quite common that any user keeps the eye on the computer time when he books tatkal tickets, just imagine, what if your system's time is 1 minute late ? your system would show 8:59AM and it would be 9:AM on IRCTC and the tatkal bookings would have been started. So, Synchronize your computer time to the IRCTC timing. This is a very important tip which can definitely save your lot of time. Generally what people do is, Suppose they want to book a ticket from Bangalore, they type 'Bang' and wait for the pop down menu which will display the list of matched stations, out of which you can select one. This wastes a lot of time and that definitely will lose your chances to book an tatkal ticket. Indian Railway has alloted station codes to each and every station. You just type the station code in the Station name, select date, class and press Search. No need to wait for that pop down list, at all ! You can create a master list of all passengers who are likely to travel on the tickets booked by you, so that while booking tickets you can easily input data from this list. Its always an good idea to type all the information as 'Name' and 'ID' number into a notepad, so that you can directly copy paste into the irctc booking window and save your time, while booking the ticket. Even the payment options as Card number, Name of the card holder etc can be typed temporarily into notepad, so that you can copy paste that and the booking can be done faster. The Magic tool created by Amit Agarwal can really do the wonders to save the precious seconds while booking the ticket. ctrlq.org/irctc is a tool which can be used to add the passenger information. Just before say 10-15 minutes of booking, open the link, add up the information and click 'I'm feeling lucky'. You will get a Magicfill button on the bottom right corner of the window. Just drag it to bookmarks of your browser. Now, when its the time to fill the information into the irctc passenger page, just click on the magicfill from the bookmarks and the passenger information would automatically filled and you can proceed to payment. If you dont have multiple IRCTC accounts, create one, using the details of any of your family members. Now, whenever you need to book tatkal tickets, Open the different account in different browser. If you open one in Google Chrome, open another account in Mozilla firefox, because irctc will detect and terminate the session, if you do from the same browser. If these tips help you in booking the tatkal tickets, please do Share this with your friends, so that everyone can use them. 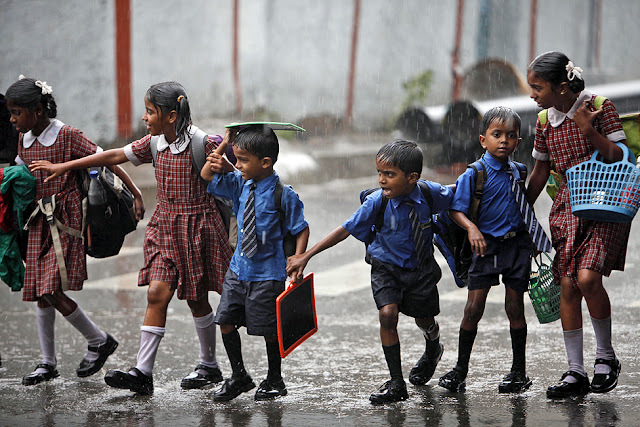 Few things which every single person misses and wants it to get back is, 'Childhood' and the 'School days'. In the most busy life, just a small incident or memory of those days bring a random smile on the face and it feels so good. Here is one of the SMS Forwards which I got and I love to share this. "Once choosing the colour of a sketch pen was a tough task. Occupying the window seat in the school bus was called obsession. Getting a toffee as a birthday treat from a friend made our day. Being the first one to finish copying from the blackboard was the ultimate moment of pride. Hiding the answers from a bench partner during exams was not called selfishness. When homework was the only torture & finished it soon,so could get some extra time to play. Early to bed, early to rise was life’s mantra, but how we loved sleeping late and having some extra TV time! Owning a cycle was like owning everything. To look good was only to use a neat comb. We didn’t need FB or a phone to keep in touch! So what they say is right." 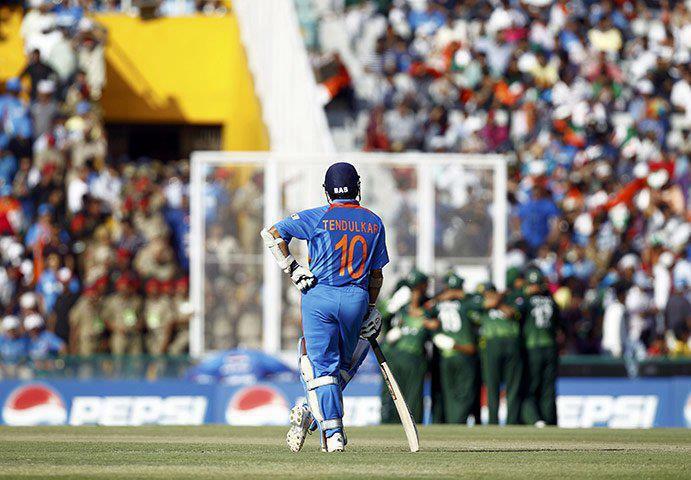 Pakistan captain Md Hafeez told, "We will miss Sachin sadly though we have been looking forward to play against him in this series. As a nation and players, we feel sad that Sachin has retired from ODIs ahead of this series, as he had his debut in international cricket on Pakistan soil (1989). The world will miss his artistry on the field as he has been a great entertainer of the game,"
He also added, "We admire the man for his sheer domineering character who rattled all types of bowlers around the world. We all can praise his efforts to excel in international cricket. There is no doubt that he is a genius. We wish him good luck for the future,"
Sohail Tanveer said, "I enjoyed bowling to him because the margin of error was so less that he could dispatch even good deliveries to the fence. Words are not enough to describe his achievements for India. He deserves the highest respect from the cricketing world,"
Umar Gul said, "India should be proud of having a great cricketer like Sachin, whose presence in the team over the last two decades had inspired a generation of players and contributed in nurturing young cricketers like Virat Kohli and Suresh Raina. I am sure many more like them have learnt a lot from him"
Pakistani Young batsman Umar Amin said, ""I played against India in 2010 Asia Cup in Sri Lanka, but unfortunately Sachin wasn't there. I would like to say only one thing that if cricket is religion then Sachin is god,"
Its the time, we compare the two android trending phones today. Sony Xperia J and Samsung Galaxy S Duos. Sony always tries bringing handsets with compelling hardware and good performance in affordable prices. Sony Xperia J too is the result of same. Though the hardware set does not break any boundaries in terms of design, but it strictly seems a good phone in mid range. Dual-SIM users come out of one of two categories - either one who are tight on budget or one who hates carrying two handsets. For the first group there are many manufacturers in the market and for the second few big brands has come forward. One such is Samsung's Galaxy S Duos smart phone. The mobile giant aims to offer a solid smart phone experience with Galaxy S Duos. At first it seems another Galaxy S3 look alike with rounded edge and button appearances, but packed in smaller screen. Sony Xperia J sports 4-inch TFT capacitive touch screen providing resolution of 480 x 854 pixels. Protection wise it has Corning Gorilla Glass, Timescape user interface (UI) and Sony Mobile BRAVIA Engine. 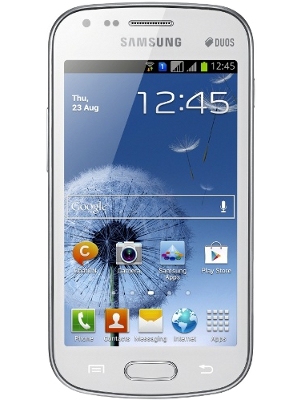 Samsung Galaxy S Duos is also a 4 incher with TFT capacitive touch screen and offering a resolution of 480 x 800 pixels. Both runs on Android's Ice Cream Sandwich (ICS) operating system but Samsung's Galaxy S Duos use the most updated one - Android 4.0.4. Both the devices are powered by 1GHz single core ARM Cortex A5 processor and Adreno 200 (enhanced) graphics processor, in RAM the two differ. The former uses 512 MB of RAM and later comes with 768 MB of RAM. The two phones come with 4GB of on-board storage that is expandable up to 32GB via microSD or microSDHC cards. These days 5-megapixel rear camera has become industry standard for smart phones and both the phones too follows the same. The two are also equipped with auto focus, digital zoom and geo tagging. Apart from all these, Samsung Galaxy S Duos also has smile detection, ISO control, panorama and white balance preset features. Sony Xperia J do attracts customers with its digital image stabilization feature. Both the phones are also equipped with 0.3-megapixel VGA front camera. Support for different connectivity matches equally for the two phones. Both have GPRS, EDGE, 3G, Wi-Fi with hotspot and microUSB v2.0. Only there is slight difference in the Bluetooth version. 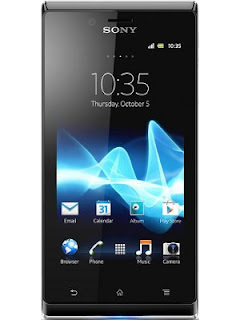 Sony Xperia J comes with Bluetooth v2.1 and Samsung Galaxy S Duos has Bluetooth v3.0. Sony Xperia J is fueled by 1750 mAh and Samsung Galaxy S Duos is equipped with 1500 mAh Li-ion battery. Sony Xperia J will cost around Rs.16000 , and Samsung Galaxy S Duos may cost around Rs.15000 in the local market. Both the phones are almost similar on most fronts and hence, deciding on a clear winner may not sound logical. Choice among the two relies mainly upon your requirements. 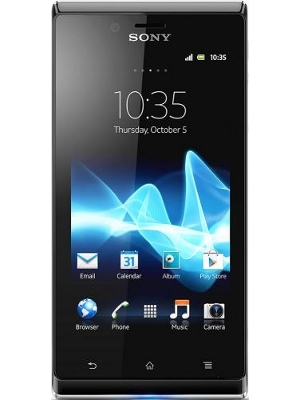 If you want a decent smart phone with the all the needed features, Sony Xperia J is not a bad option. However, if you want this all with the power of dual SIM, go for Samsung Galaxy S Duos. 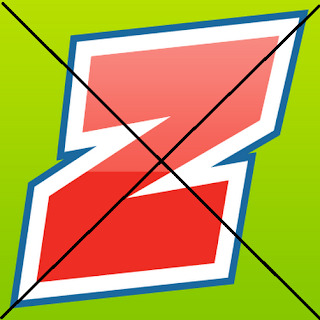 This article is posted by Sanjay Kumar Negi, working at 91Mobiles.com. This website helps users to compare and find the best price for mobiles, tablets and accessories such as Samsung Galaxy S Duos in India. 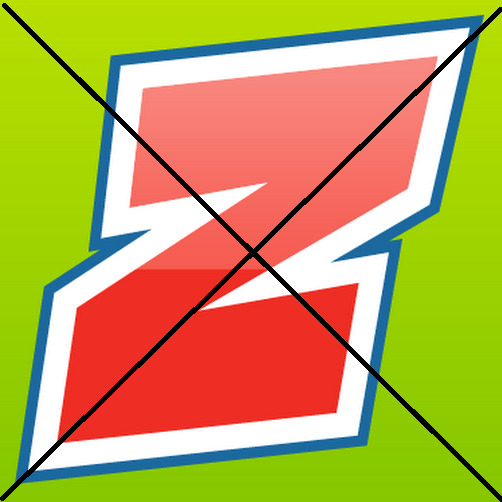 Worst Experience with Crazy Domains ! If you are looking for some cheap domains and you find somewhere that Domains at just $0.99 or Rs.99, and that too, if its Crazy Domains, I personally recommend not to get lured to it. Few days back, I was looking for some .in and .co.in domains, and I found out that CrazyDomains were providing it for Rs.99 per domain, and I was like, Let's go for it. I searched for my domains, found it available, I added them into cart and made the payment. Even after the successful payment, I got the email saying that, "Your domains are Pending and it would take about 48 hours to approve the domain", I was like WTF ! I just cross checked the same domain on other sites and to my surprise, they were being shown as "Available" ! I went to their "Contact Us" and soon realised that, there was no good customer care support, still I mailed them regarding the same, and the reply I got was after 1-2 days that, "Due to some technical issues, You need to wait for 3-4 days more". This really pissed me off. Finally, after 4 days, I got mail saying that domains were registered successfully. I was like, Thank god, I must not see more problems, but No !! I logged into my account, found my domains there, just clicked on Manage domains, so that I could add the DNS Settings and I could point the domain to blogspot blogs and guess what ?? There was no CNAME settings at all !!! please signup DNS hosting (1 domain / 1 DNS hosting). As well as ; manage your own DNS entries (DNS control: A, MX , TXT and CNAME records). DNS hosting also provided advanced options are : cloaking, metatags and unlimited sub-domains. If you have further queries, please feel free to let us know. If you have Web Hosting with Crazy Domains, then only they provide you Free DNS Hosting. I own many domains on various sites and none of them asked me to purchase DNS Hosting separately, and Crazy domains are really Crazy !!! Now, the Thing is, neither I want to spent Rs.2000 for DNS hosting and nor can I point the domains to my blog. I thought of transferring the domains to other registrar but ICANN says, A Minimum of 3 months, you need to spend with the existing regsitrar !! "Crazy domains are really Crazy, they will piss you at every moment with them, and its a sincere advice, Dont register the domains with them, even if they provide you for Free" ! 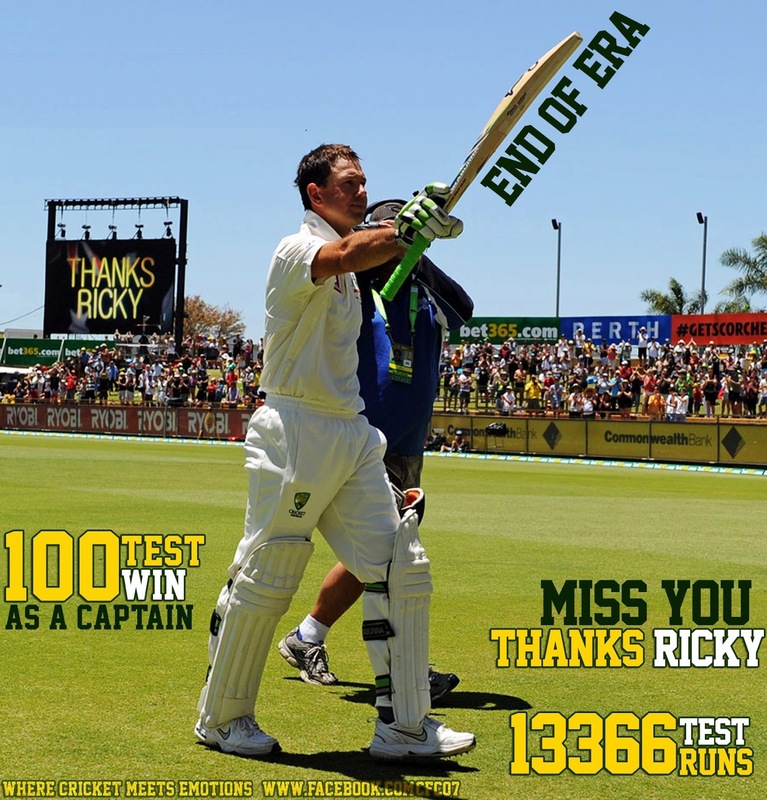 Ricky Ponting, who needs no introduction, announced his Retirement after his long carrying bad form. It was hard luck for ponting that he could not contrubute much in his Last match as well as they had to face a defeat with huge margin. Neverthless, Ricky Ponting received a Nice gesture from the South African players, when they welcomed punter for his final batting giving him the Guard of Honour as well as when he got out, he had a great farewell with whole stadium clapping and the sign board saying, "Thanks Ricky".